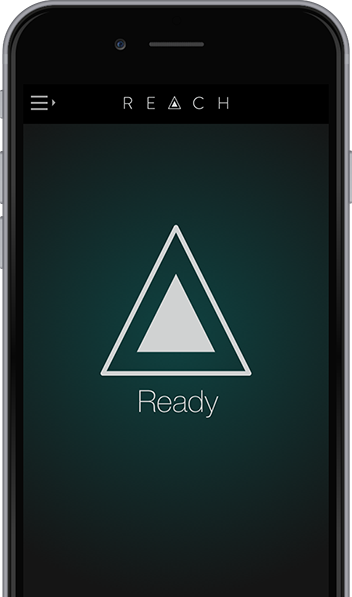 Quickly and discreetly reach out for help, even if your phone never leaves your pocket. 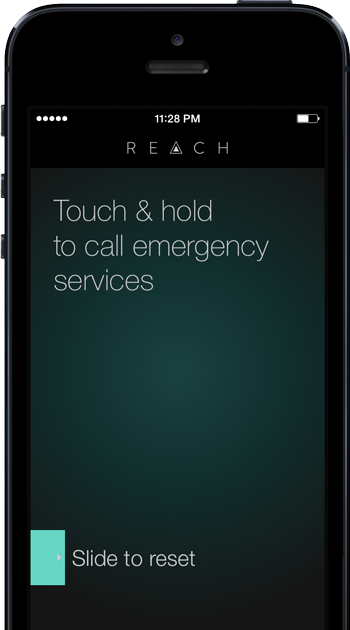 When you need help, quickly and discreetly send a REACH alert. Your loved ones are alerted to visit your personal Rescue page. 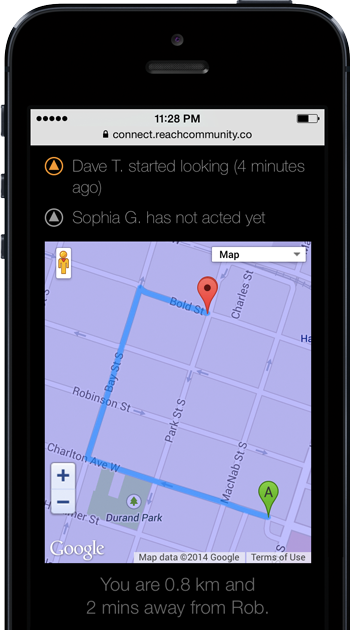 They’ll see your location and status in real-time so they can act fast. You can use REACH without having to look at your phone - so you can stay focused and alert. You can even get help just by yanking out your headphones! When you REACH for help, your location is securely tracked in real-time and displayed on your Rescue page for your loved ones. And if the situation escalates, you can quickly call 911 with one touch. Copyright © 2015 REACH Community Inc.